This slipcased set contains signed, numbered, limited edition, specially bound copies of On Conan Doyle by Pulitzer Prize winning critic Michael Dirda and The Remarkable Characters of Arthur Conan Doyle, edited by Joel B. Silver. Profits from the sale of this set will go to the Undershaw Preservation Trust, an organization dedicated to preserving and restoring the unique home designed and built by Arthur Conan Doyle. Only 80 sets of these beautiful books were produced. $165.00 plus shipping in U.S.A. The standard trade edition of On Conan Doyle, published by Princeton University Press, was praised as a perfect introduction to Doyle’s life and works. This limited edition includes a new afterword by the author and many illustrations and photographs not found in the trade edition. This limited edition volume is bound in rich royal purple cloth with gold stamping. It is signed by Michael Dirda on a hand-numbered limitation page. The Remarkable Characters of Arthur Conan Doyle presents papers from the conference and exhibition of the same name, which showcased the characters found in Doyle’s wide variety of popular fiction. For more details about the book and its table of contents, see the standard edition of this book. This limited edition volume is bound in rich royal purple cloth with gold stamping. It includes signatures of the editor and all the contributors on a hand-numbered limitation page. The set comes with a gold-stamped slipcase identifying it as “The Undershaw Set” and displaying an outline image of the house. Q: Why is this called the Undershaw Set? 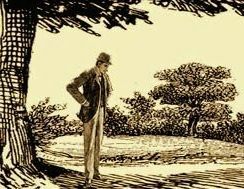 A: Undershaw is the name of a home that Arthur Conan Doyle had custom built, and the location where he wrote much of The Hound of the Baskervilles and The Return of Sherlock Holmes. Profits from the sale of this set will go to the Undershaw Preservation Trust, an organization dedicated to preserving and restoring this unique home. A: The Limited Edition volumes are available only as part of this two-book set along with its slipcase. 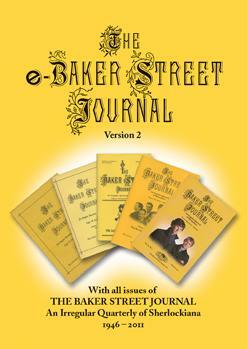 The BSI also offers a standard edition of The Remarkable Characters of Arthur Conan Doyle. A: The limited edition volumes have different covers, are signed and numbered, and come with a slipcase for the set. The limited edition of On Conan Doyle includes a new afterword by the author and many illustrations and photographs not found in the trade edition. The standard edition of The Remarkable Characters comes in a pictorial dust jacket as shown on its web page. The limited edition volumes do not have dust jackets.